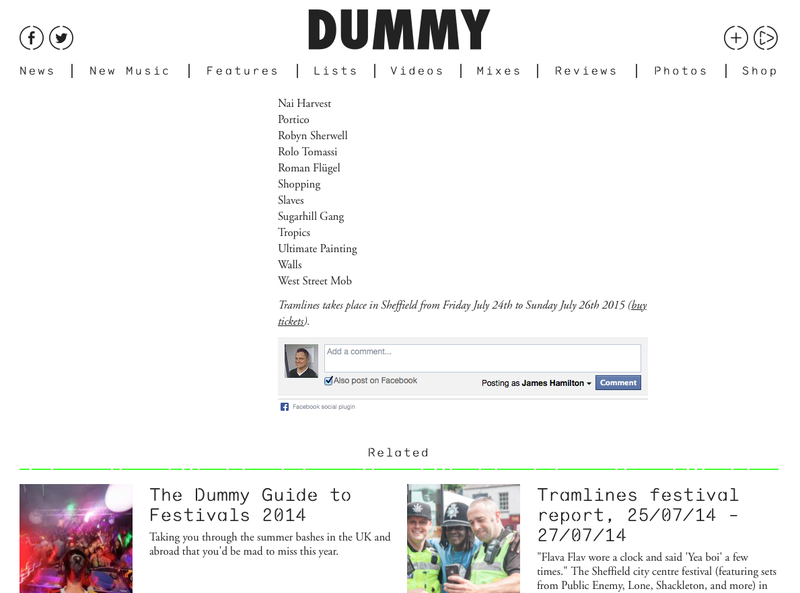 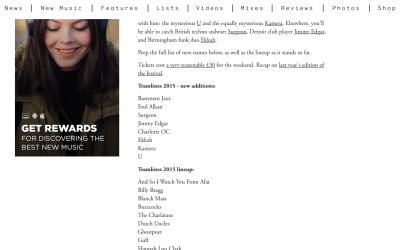 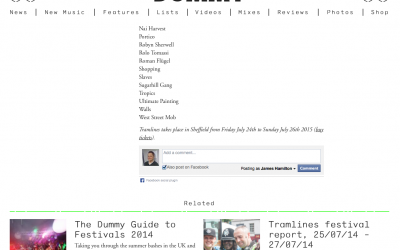 Dummy announces Basement Jaxx to headline at Tramlines festival 2015! 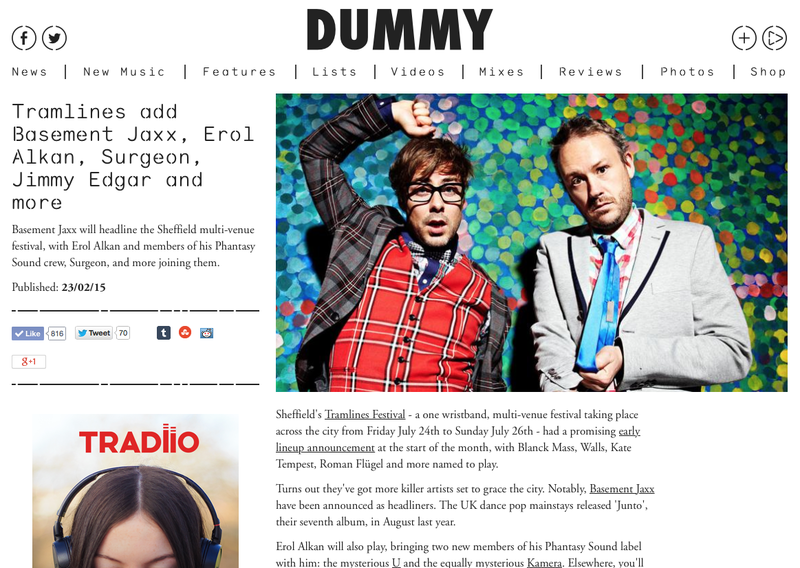 The trend setting online music magazine Dummy, exclusively announces Basement Jaxx’s to headline at the 2015 Tramlines festival. 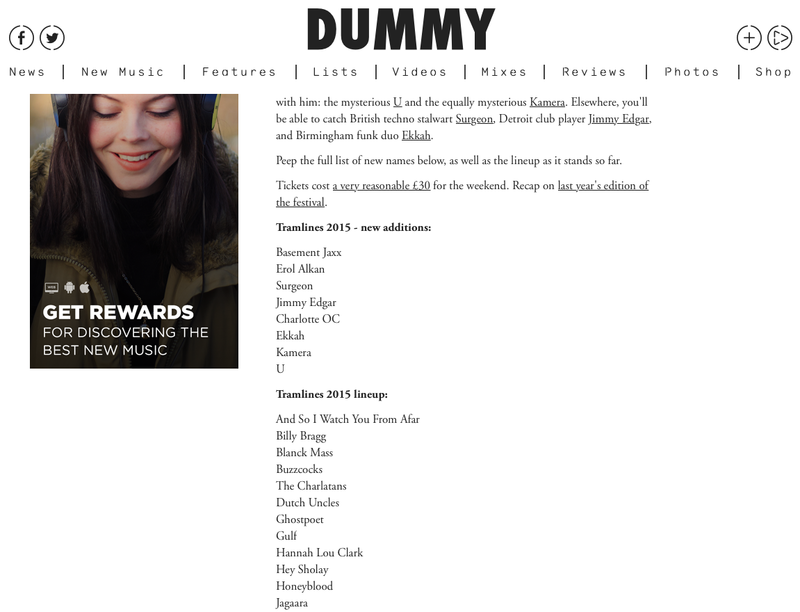 Dummy also makes another exclusive announcement of Tramlines promising early line-up of Erol Alkan alongside his memebers of the Phantasy Sound crew with mentions of Detroit club player Jimmy Edgar, fun duo Ekkah and Surgeon.